What do you see? Some see an intricate flower pattern, others see a shield or simply a great looking pattern. We see a superb and unique design, in deep red with silver-colored edging on a textured gray field. Artful and elegant, these cufflinks call to mind the chivalry of medieval times. We also carry this design in pink, red, and black & white. They come in a handsome and hard-sided gift box. 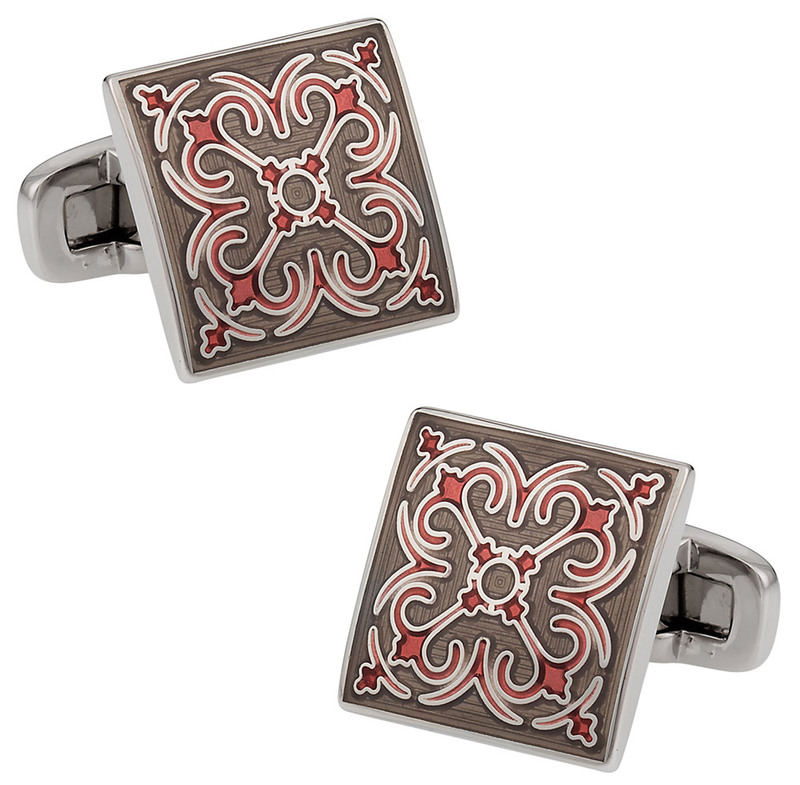 grey and red are very stylish colors and they look fantastic on these cuffs. the square shape really makes the colors pop.